Vintage Citroen HY Van available for hire for your events and parties. We are a family run business with small and dedicated team of caterers who have years of experience providing great food for private and corporate events, weddings, birthdays or kids parties, festivals, sport or equestrian events and food festivals across south east of England. Our van is also available for hire as corporate/branding vehicle or for TV commercials. Our vintage crepe van/vintage coffee van is deliberately left sign free so you (company) can brand it to your needs using magnetic signs. Looking for something unique for your wedding? 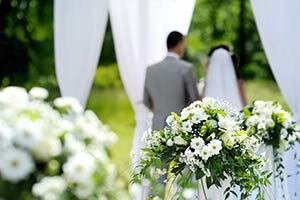 La Kordun is wedding caterer you can trust to provide great food, on time, to almost any wedding venue in Reading, Henley on Thames, Newbury, Berkshire, Hampshire, Oxfordshire and Surrey. We specialise in pig hog roasts, lamb roasts, pulled pork/chicken and gourmet barbecues with a assorted selection of sides and accompaniments, using only the finest meats. Our van is set up as mobile creperie & mobile barista style coffee bar, perfect for deserts after hog roast. We cook our hog roast on-site or deliver the food hot and ready to eat. Hog roast or BBQ, pulled pork or finger food, crepes and barista style coffee/tea trust our expert team to provide welcoming and proficient mobile catering service. 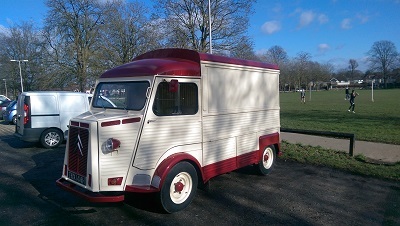 Sweet and Savoury crepes and coffee served at your wedding event or party from our charming vintage Citroen HY van. La Kordun – Vintage Event Catering can cater to weddings of any size – from an intimate 25 people family occasion to a larger event with family and friends. Elegant and stylish van perfect for any advertising campaign. There is no doubt that our Vintage Citroen HY Van has that certain elegance and irresistible style, it grabs the attention when it comes to marketing and advertising. We have deliberately left our van branding free in order to be versatile for other companies to use it for self-promotion. We are able to apply custom magnetic signs made to your specification for your branding campaign. Our charming classic vintage HY van is perfect for any photo opportunity, and is an excellent marketing tool for your campaign. 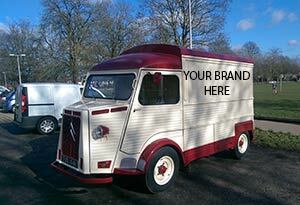 We will work closely with you to make sure that the branding of the HY van meets all your requirements. Our Vintage HY van has large side and rear opening hatches/counter which are perfect for handing out drinks, food or samples of your produce to the public or customers. Treat your staff or customers to a reviving afternoon outside. Our fantastic barbecues, hog roast, crepes or mobile barista style coffee/tea are an excellent way to provide an informal atmosphere to get to know your guests or special event with your staff. 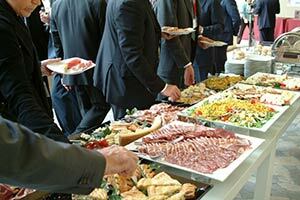 We offer discrete, prompt and professional range of catering solutions for your business. Catering for business across Reading, Newbury, Henley on Thames, Berkshire, Oxfordshire, Surrey and London. Catering for music or other festivals as barista style coffee/tea shop, hog roast, gourmet burgers, pulled pork/chicken or mobile creperie. 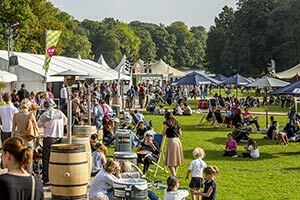 We are happy to cater for any music, sport or any other kind of festival. Our luxurious, charming vintage Citroen HY van and horsebox kitchen will perfectly fit to any surrounding of any festival across South East of England – Reading, Windsor, Maidenhead, Ascot, Bracknell and rest of Berkshire, Buckinghamshire, Oxfordshire, Surrey, Wiltshire and London. 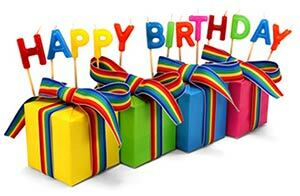 For intimate birthday, christening or get together garden party. If you are looking for a catering company to provide an excellent hog roast service in Berkshire or Oxfordshire area for your birthday or private party, at a function venue or private residence and with professional service, then La Kordun is fantastic choice. We can cook delicious hog roast or barbecue then as desert fresh handmade sweet crepes made in our van in front of you with huge choice of fillings followed by great barista style coffee or tea. Latte or cappuccino, espresso or hot chocolate for kids, there is something for everyone. We are proud to serve our sweet/savoury crepes, cakes and barista style coffee at any sporting event, whether it’s football, boat or horse racing, polo or cricket, sailing or running event. We’re happy to offer and serve the competitors and spectators refreshing hot and cold drinks together with choice of sweet/savoury crepes and other snacks. Our van has a quite unique set-up and we can operate almost in any location day and night. Covering Reading, Oxford, Didcot, Basingstoke, High Wycombe, Berkshire, Buckinghamshire, Oxfordshire, Surrey, Wiltshire and London. It all started few years ago when we were touring Europe and came across little village fete in France with Vintage Catering Citroen HY van/mobile creperie in the middle of it selling delicious crepes, cakes and hot drinks. Strait away we fell in love with it. Few weeks later similar van was spotted back in UK and idea was born. Search started and after more than 6 months we found Citroen HY van in France. Imported, registered and restoration slowly started. Van was successfully and lovingly restored and converted in to van you see today. Our vintage van begun new life as event catering van serving people with great food and drinks. Our beautiful HY van is full of character and charm. It’s very different to your average catering trailer, it has a vintage feel and it adds an element of fun to any wedding or event. Reading, Berkshire, Oxfordshire Mobile Coffee Van Bar. Vintage Coffee Van For Hire. Fresh Coffee For Corporate & Private Events.